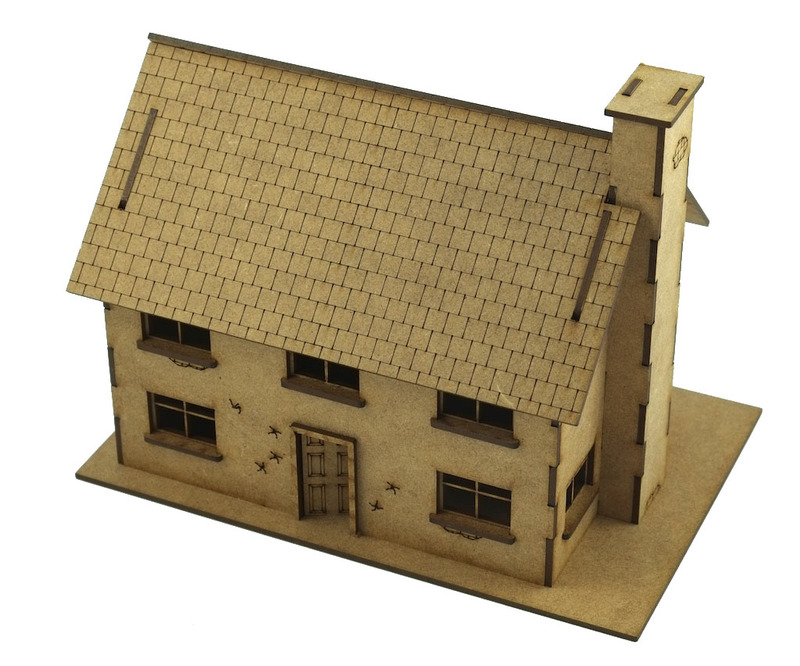 The house measures 158mm x 101mm x 145mm high. 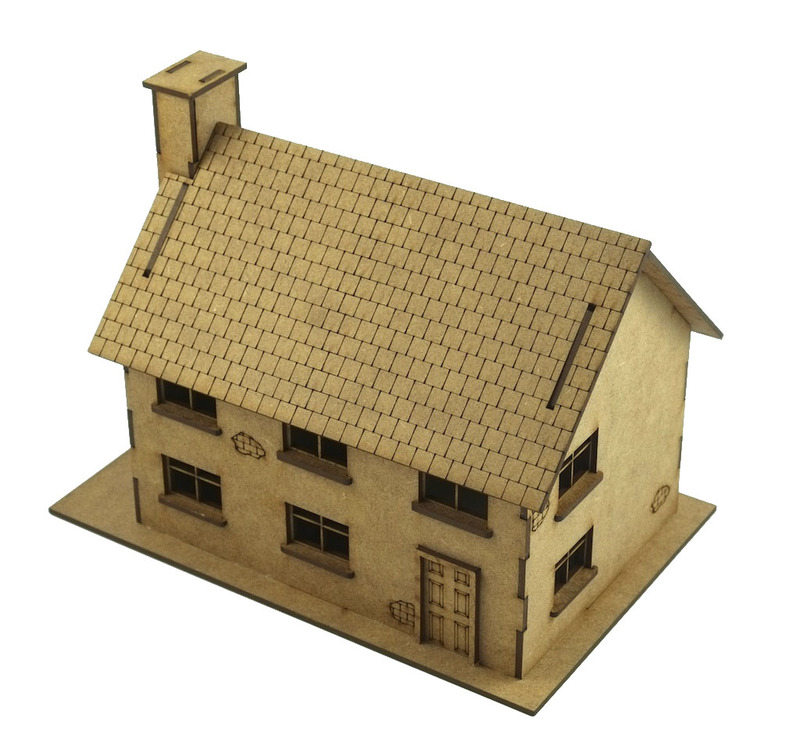 The house comes in a kit form and requires assembly and so you will need a knife or scalpel to release some parts. 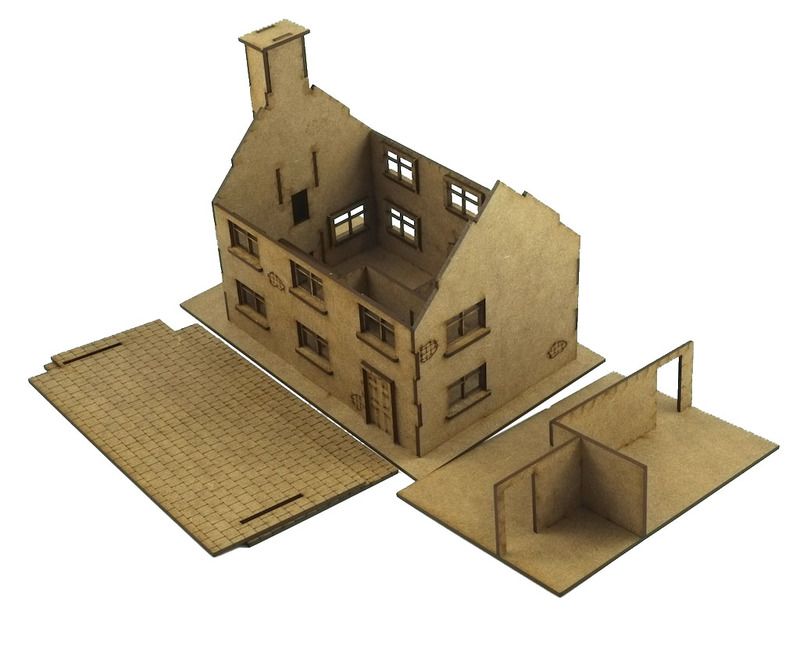 You will need to PVA glue the interlocking parts together and paint.